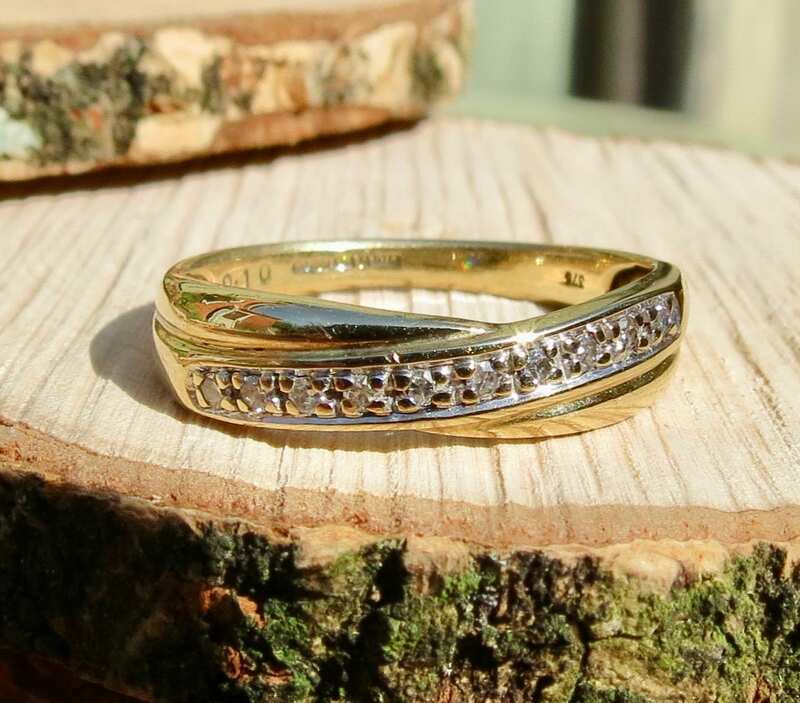 A vintage 9k yellow gold crossover ring with ten diamonds. 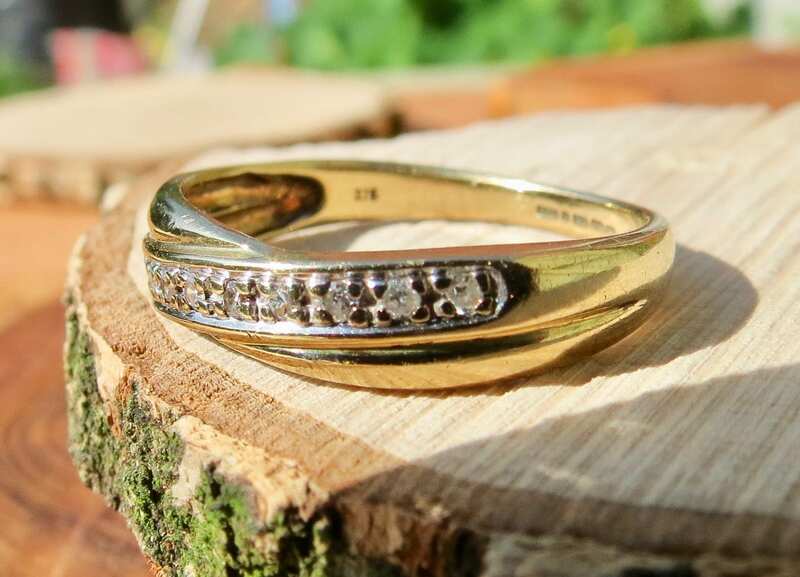 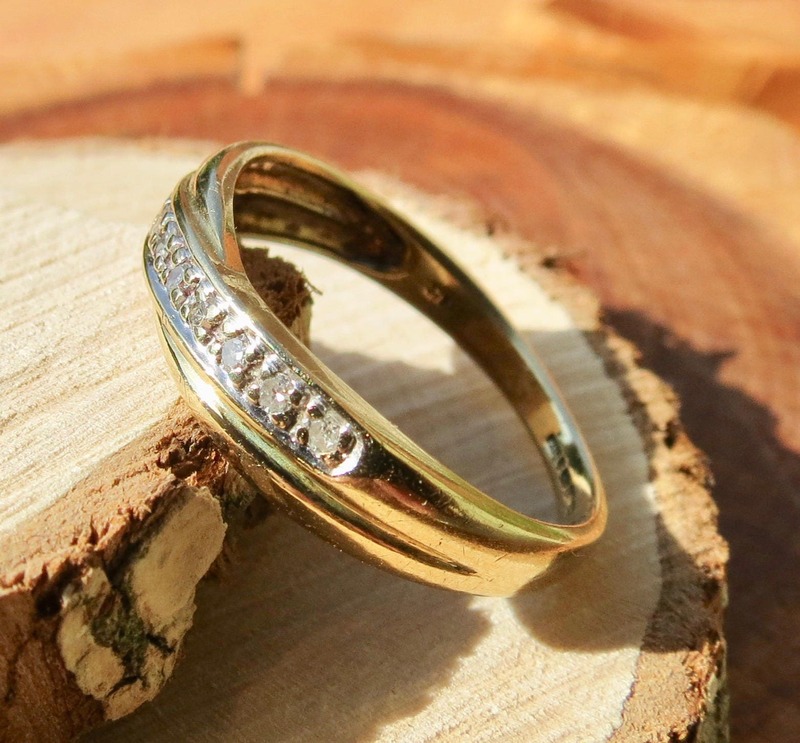 A vintage crossover 9k yellow gold ring with ten brilliant cut diamonds in a pavé setting. 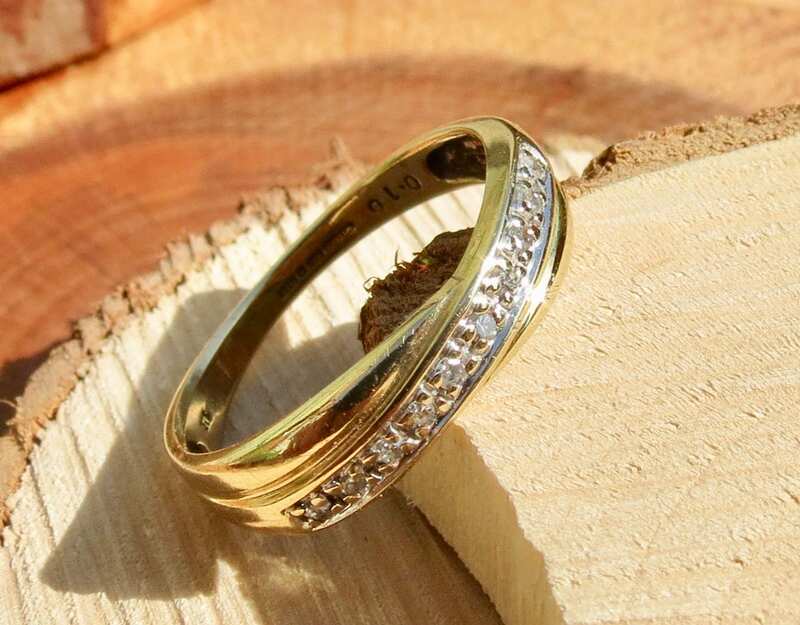 Total diamond weight 0.1 Carat. 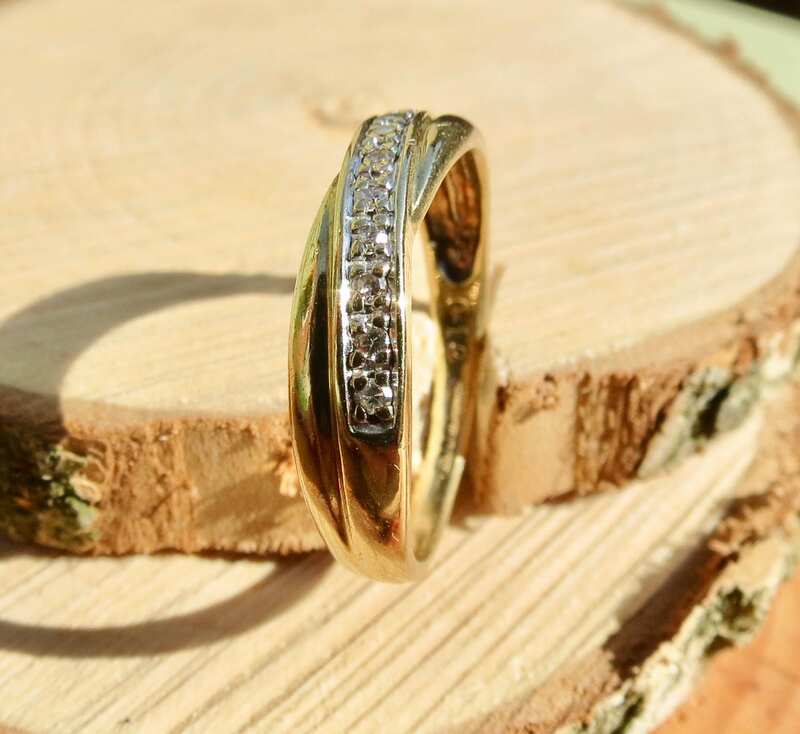 The angular shank leading from wide shoulders narrows to 4mm the base of the ring.